A walk from Potters Bar station to Brookmans Park station. 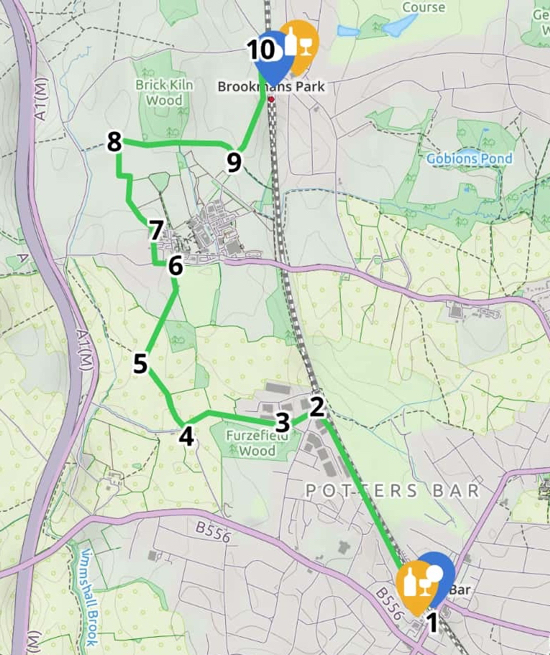 The route takes in Furzefield Wood and Brick Kiln Wood. The journey between start and finish points can be by train or by catching the 610 bus. The walk starts along the edge of the railway, and cuts through an industrial estate before passing through open countryside. The numbered directions below relate to the numbers on the map above. 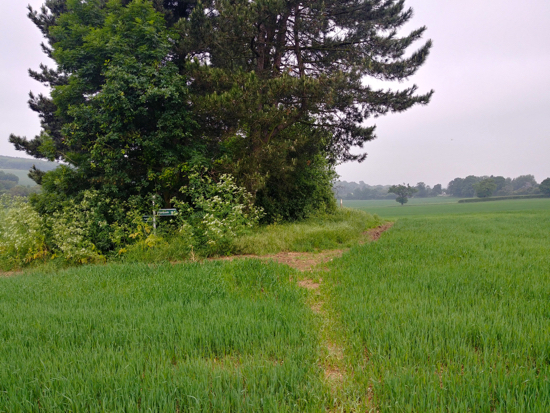 The walks also include the numbers of the official Hertfordshire County Council footpaths, bridleways and byways as they appear on the footpath signs. As with all our walks we recommend taking the Ordnance Survey map for the area or downloading the OS smartphone app. 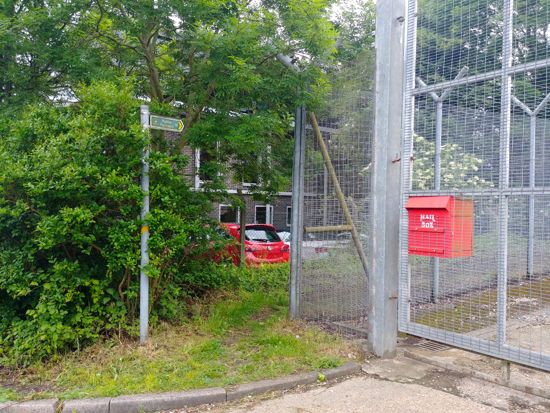 2: After about half a mile the path drops down to the left to join Cranborne Road running through the Cranborne Industrial Estate. Immediately opposite you will see a footpath sign leading to a path running west along the north side of a small stream. This is footpath 15. 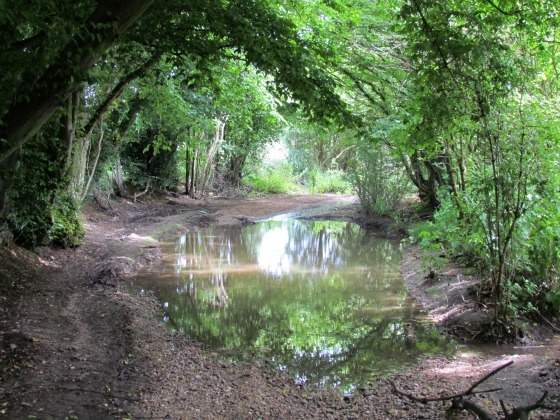 Take this path and follow the stream until you emerge further along Cranborne Road. 3: Cross the road but ignore the green gates leading to Furzefield Wood. Do not go through those gate because you will end up on the wrong side of the river and reach a dead end. Instead, turn right and, just past the green gates you will see a footpath sign on your left, often hidden by the overgrown hedgerow. 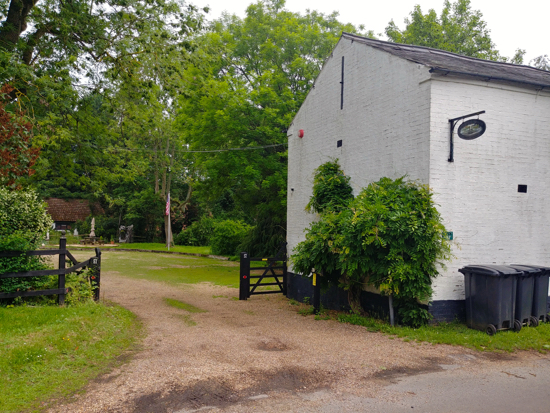 You now head west along the north side of Potters Bar Brook until you reach Warrengate Farm on your left and Warrengate Bungalows to your right. 4: Turn right at Warrengate Bungalows and follow path 14 as it goes first north with the hedgerow on your right and the field on your left. At the brow of the hill your path continues north-west through the crops heading for a tree at the top of the hill. 5: At the tree the path splits. 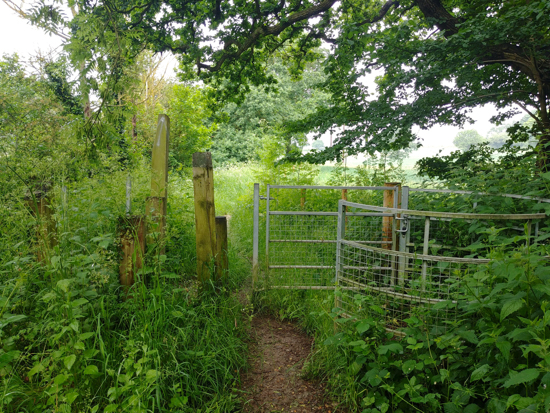 You take the right-hand fork, path 13, and head north-east towards a wooden marker post and wooden gate through the hedgerow. To your right is Pilvage Wood. 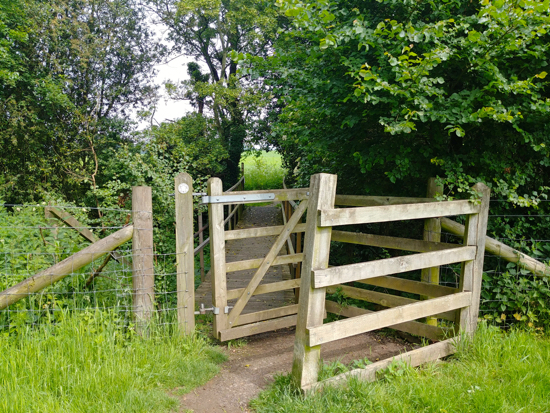 Continue through this gate and across the next field heading north-east and making for another wooden gate that leads to a track behind the Royal Veterinary College sports field. Turn left on this track and head north until you reach Hawkshead Lane. 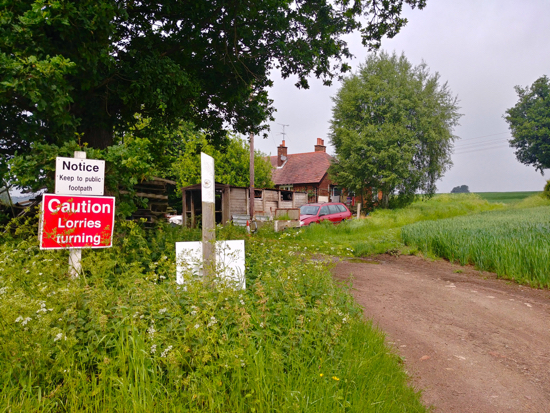 6: Turn left on Hawkshead Lane and walk west a short distance until you come to a white farm building on your right. There is a footpath sign pointing north but it is often obscured by shrubs. Turn right here on New Cottages Lane and continue heading north, past Hawkshead Farm on your left, and on through a small housing estate. 7: At the end of the houses you will see a footpath and a gate slightly to your left. 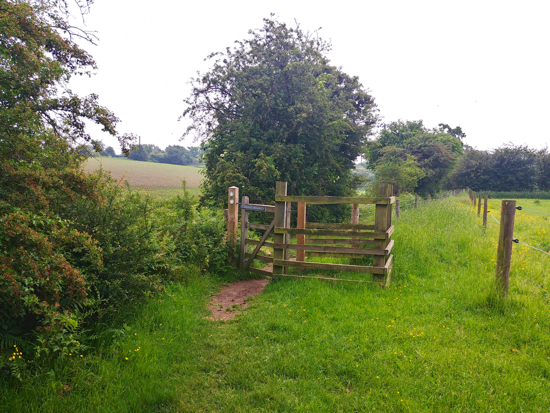 Take this path and head north-west, cross two fields, go through a couple of metal gates with some steps in between, cross another field, and then go through a wooden gate to reach a wooden footbridge leading to the footpath called Wise's Lane (it's not a lane). 8: Turn right on Wise's Lane and follow it as it heads east along the north side of a small brook and eventually emerging at a gate. Turn right, cross a wooden footbridge and then turn left walking east with the hedgerow on your left and the fields on your right. 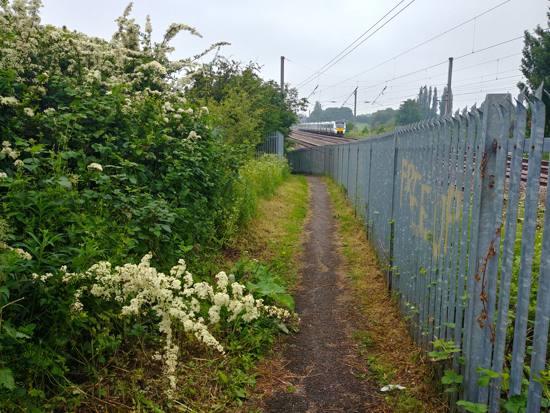 9: The path eventually reaches a wooden gate where you turn left, cross a small footbridge, and then continue heading north-east, past Brookmans Park Station on your right, and on to Station Road. 10: Turn right, head south along Station Road, and cross the railway bridge taking you back to Brookmans Park village, the station and shops.